When I took Kathy to my meet my parents, Dad got out his boarding-school yearbooks. He’d never done such a thing, shown anyone the elegant 1930s volumes—certainly never to one of my girlfriends. I suppose her work as an educator made his sharing of that lost world relevant, but he also was showing a pretty young woman the smoldering dreamboat he’d been. His pilot’s career had taken him from Michigan’s snows to coral atolls in the glittering Pacific to the firebombed ruins of Tokyo and finally to Florida’s unruly interior. I think Dad sensed more about Kathy than their short acquaintance would suggest. His sense of her happened in the way we know some people at once, or presume we do, how we see in their countenance what we admire and need. Perhaps he saw her strength. Kathy had launched herself into the world almost as fiercely as he had. She didn’t share my fear—of drifting rootless, alone and unknown—but must have had his terror: of being trapped, unable to take off for the horizon. Growing up, a willful child, she’d run away from home, angry—or not. She was searching for something. Her mother sometimes saw, from a window, Kathy receding: the diapered girl disappearing across a soybean field. . . . When I was 26 and unhappy, my mother gave me a dog. It was the worst possible timing . . .
My aged Labrador retriever is dying, and I’ve come into the garage this Saturday morning to check on her. Tess has been declining for some time—I can admit that now. She’s been sleeping more and moving stiffly. When she quit eating and took to bed, I couldn’t deny her aging any longer because, undeniably, her time itself had come. She’s not even whimpering, but animals don’t dwell: they deal. And so, intentionally or in effect, they hide their pain. Anyway, I can’t let her slowly starve or die of dehydration. It’s on my shoulders to call an end to Tess’s suffering, and I have. Our veterinarian will euthanize Tess on Monday. Tess retreated a few days ago to her thick cushion out here in our quiet attached garage; her nest is beneath the wooden stairs into the house. “Hey, Tess,” I say, squatting to pet her. She raises her head an inch from her green canvas pillow, and tries to thrust her snout forward; her tail stirs but doesn’t thump. Flies lift from her rusty black coat. Flies have found her—though it’s still spring, barely May, not even June, and cool. Our vet thinks she has extensive, advanced cancer. She’s thirteen years and four months old, a good age for a Lab. But too early, of course, for me. “Not good. She’s not even drinking now. She’s staying in the garage.” I gesture to the open bay. “No. I mean, she’s dying, Beck. Tess is an old dog. Old for a big dog, anyway.” A sound stops me—Tess barking from the garage. Hearing my voice, she’s barking. She’s calling me even though I just left her—maybe because I said her name—and it’s a gut punch. She hears me and needs me. “So what are you going to do? Have her put down?” Rebecca’s tone and the intent way she’s peering at me make me uneasy. She’s searching my eyes, her own eyes bright and intense, her head tilted solicitously to one side, her expression pert and greedy as a monkey’s. Her avid curiosity feels unseemly. My encounter with at bad man at 19, my writing apprenticeship, and how the two connect. Lots of people on Florida’s eastern coast were tanned, but my new friend was a more elusive shade of brown. Joe Grezaffi was pure Sicilian. His immigrant grandparents, on both sides, had landed in New Orleans; he’d grown up the son of a butcher in a tiny Mississippi Delta town called Shaw. At nineteen I spent every spare moment at Joe’s little farm west of Melbourne, where I helped with chores while attending community college and selling clothes at Belk-Lindsey. Joe’s day job was teaching social studies; his passions were orchids and poultry. Quacking ducks and honking geese circled Joe’s shadehouses, and exotic breeds of chickens crowed and flapped in coops beneath every tree and flanking every structure. To afford his farm on a schoolteacher’s salary, Joe had moonlighted in earlier years at Belk-Lindsey, where our paths had briefly crossed. Now the orchids bankrolled everything—corsages were still popular in that summer of 1974, and China was decades away from taking over the potted-plant market. In a local subdivision, Joe owned an ordinary low-slung Florida house, where his wife and three sons waited each night for him to arrive for his warmed-over dinner. He was the hardest-working person I’d ever known, excepting my father, whose office work I’d never witnessed and, anyway, who didn’t count. You reached Joe’s down a dirt lane overhung with gnarled oak branches draped in Spanish moss and grapevines. Duck Valley, Joe called his farm. Doomed to be surrounded by condos, it was still hidden back then, an enclave seemingly exempt from time. Though only a couple of acres, with the surrounding landscape forested or in weedy pastures, Duck Valley felt like a forgotten oasis. Twin thirty-foot crepe myrtles flanked the entrance to the farmyard, a broad unpaved oval with an island of towering pines in its center that made it a relaxed circular drive; at the sandy loop’s edges, the outbuildings and a farmhouse lay half-buried in rampant vegetation: snaky orange and grapefruit trees; a sprawling fig; gaudy red and yellow crotons; a poinsettia that had achieved the size of a one-car garage. The little white house dated from the 1920s, ancient for central Florida, and its cypress clapboards were petrified. A breezeway connected it to a barn with stanchions for six cows. Duck Valley had been a commercial dairy in Florida’s olden days. In the palmetto-and-pine woods nearby, a sunken concrete tank, long-abandoned and half full of inky water, marked where homesteaders once immersed their cattle to kill ticks. One Saturday, Joe butchered two ducks, and we plucked them in the breezeway. John Denver’s “Take Me Home, Country Roads” wafted from the house. Denver was uncool, but I was secretly a fan and had given Joe the tape. Gopher pulled up in his dented blue Chevy pickup, his tawny pit bull, Skipper, pacing in its bed. Gopher had recently resupplied Joe with hogs—wild razorbacks with long black snouts and sharp white tusks; they overran the cattle ranch where Gopher worked, rooting up its pastures. Skipper would sink his teeth in their noses and hold them until Gopher could tie their legs and throw them, screaming, into his truck’s bed. Joe fed the pigs garbage and corn before he slaughtered them. If a chicken flew over a low board fence into their sty, the pigs ate it quick as it landed. A toddler teaches her grandfather about the deep emotional structure of babies and adults, the perfect yoga pose for a complete meltdown, and the imperative to boogie. My granddaughter, Kathy, sprinted down the upstairs hallway of her house, wailing for her mother. But her mother, my 30-year-old daughter, wasn’t home. She and her husband had left Kathy with me while they went to buy a larger car—Baby Number Two was due soon. I’d been on duty about three hours when Kathy realized her parents were really gone, and dashed for their bedroom. She was wearing only a red shirt, having shed her diaper and her britches somewhere. I hadn’t been able to get shoes on her in the first place. I ambled behind her down the dim hall, wondering how I’d deal with this crisis. I’d already learned not to tell Kathy “no,” except in injurious situations, so I don’t recall doing anything to set her off. But on top of the Terrible Twos, she’s in a mommy phase. And she’ll only nap at day care, so she’s always exhausted on weekends at home. Her parents, Claire and David, had warned me that they had to drive all the way to northern Virginia for the best deal. Their getting back to this southwestern tail of the state meant I’d agreed to tend Kathy, alone, for over 12 hours. 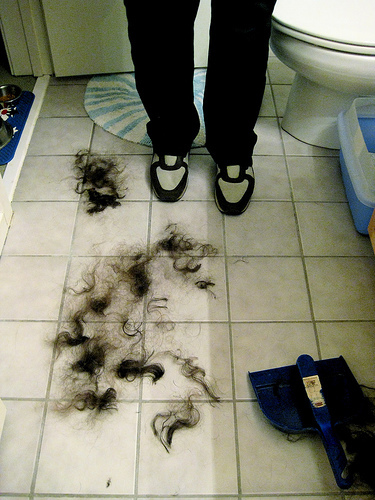 They’d left at 7 a.m., and soon afterward Kathy had taken me into their bedroom. She’d had me “throw her away”—toss her onto their bed—and then she’d wrestled from Claire’s closet a green foam yoga mat. “Mommy’s,” she’d informed me, and we’d regarded it there on the hardwood. Kathy’s sadness bruised my heart. And her cries underscored that I’m losing my lonely crusade to have her call her mother Mama instead of Mommy. All my life I’ve envied friends, often but not always from the South, who even now, as senior citizens, refer to “Mama” and “Daddy.” So warm and so comforting, I imagine, to their inner child. If I’d grown up in backwoods Georgia, where my father farmed until I was 5, that would’ve been me. Instead, my parents transplanted me to a Florida beach town, and my Mama became Mommy. . . . In this lighthearted portrait of his family’s rescue dog, author Richard Gilbert explores the larger bond between human and animal. Belle Krendl, “our” dog but really mine, is a furtive, ragtag creature. She suffers in comparison to our prior dogs—and to most we’ve known. In fact, she suffers in comparison to any pet we’ve ever owned, including jumpy, escape-prone gerbils; a pert exotic lizard that refused to eat; cannibalistic chickens that stared with malice in their soulless green eyes; and a sweet, dumb, tailless black cat named Tao who spent his life staring into space with huge yellow eyes—but once, in a blur, grabbed and gulped down a gerbil our daughter dangled before him by way of introduction. A Jack Russell terrier, or maybe a Jack cross, Belle Krendl is covered in whorls of stiff white hair. Bristly brows and white lashes accent her black eyes, as do her lower eyelids, a disconcerting garish pink. In the house, her movements are wary; outside, she streaks like a Greyhound after any creature unwise enough to enter our yard. Her long skinny legs with knobby joints—King crab legs, I call them—make her too gangly, at 16 inches tall, for a proper go-to-ground Jack. At 22 pounds, she’s too heavy for a lapdog. She’s ambivalent about cuddling anyway. We’re seldom inclined to offer much physical affection, given her peculiar odor, an intermittent acidic stink, especially pungent when she’s hot from running. A mouthful of missing, broken, and bad teeth partly explains her vile breath. “She’s a rescue—6 years old when we got her!” we crow, cashing in where we can, harvesting meager props for having saved her from euthanasia. In reality, she’d been lodged at a no-kill shelter. It had placed her twice in good homes before we showed up. . . . As an extension of human ego—an undeniable dog role: something that kindles pride in their owners—she’s a washout. The odd thing is how close I’ve grown to Belle. The odd thing is how much her anxious nature illuminates mine. When I hear about police violence, I think of our encounter. On Christmas afternoon, 1971, my father and I went for a long walk in our town, Satellite Beach, Florida. We had reached the sidewalk of our local shopping center, the top of our return loop toward home. The breeze that had pawed at us for a mile died as we passed the closed storefronts. In the empty parking lot to our left, seagulls faced away, toward Highway A1A and the ocean. There at the north end of Atlantic Plaza, in front of Publix Supermarket, a police cruiser startled me as it pulled beside Dad. Then it glided past, close to the curb. Dad ignored it. The car stopped and a cop jumped out. “What are you doing?” he said, hands on hips, staring at us over the car’s trunk as we approached. “We’re walking,” Dad said, without breaking stride. The cop spun and jumped in his car. Its engine revved and the car peeled away toward the ocean. Dad’s body blocked my view, but I heard a long circling squeal. The car flashed ahead of us and t-boned the curb—BOOM—and bounced onto the sidewalk. The driver’s door flew open and the policeman jumped out and dashed around the hood toward us. I realized this was the cop who’d hassled me and Winn Dixie’s other bagboys one night, at the other end of Atlantic Plaza. We’d stocked shelves and mopped floors and were talking beside our parked cars, our keys in our hands when a cruiser roared at us across the lot and skidded to a stop. This cop, leaning out behind his blinding high-beams, said, “Move along.” I was shocked by his rudeness—and even more by my own response, anger. Now that officer was running at me and Dad. He pumped his arms and jerked his head. I was 16, a high school sophomore, and my stomach went hollow. Dad kept walking. We were almost on him, and I could see his red face and his eyes flashing white. He was young, I saw—maybe early 20s, I think now—and stood with legs planted, arms bent, glaring at Dad. After moving to Appalachian Ohio, Richard Gilbert struggles to successfully fulfill childhood dreams of farming. Shepherd (Michigan State University Press, 2014) details his journey through the difficulties of family-scale sustainable farming to becoming a seasoned breeder and agrarian. In the following excerpt from the prologue, Gilbert shares his desire to reclaim the land lost in his boyhood, and the dilemmas that come with lambing season. Childhood dreams cast long shadows into a life. As if the strong feelings they stir prove their validity, dreams propel the dreamer through an indifferent world. Which explains how I, a guy who grew up in a Florida beach town, find myself crouched beside a suffering sheep in an Appalachian pasture. “Richard, I think you should call the vet,” says my wife. Kathy and I flank the ewe’s prostrate body. Our third lambing has just begun this spring of 2001, and Red is in trouble. I’d found the little ewe in distress and had urged her up and nudged her inside an old shed, where she’d collapsed and resumed straining, panting as if in labor. But nothing happens; no lambs, hour after hour. Kathy knows I’m reluctant to seek paid help. We’re on a tight budget and I’m trying to be a practical farmer, even if still part-time: commercial shepherds do their own veterinary work, or they simply shoot and compost ailing ewes. Profit margins, razor thin, can’t support farm calls. But Red, small and fine-boned, white with a roan patch on her neck, is a special case. She emerged four years ago from the anonymity of our new flock, fifteen rambunctious ewe lambs, by insisting on making herself our pet, surprising us and astonishing her wild flockmates. During a disastrous renovation of our farmhouse that summer—we maxed out our credit cards, spent our kids’ college savings, and borrowed against our retirement accounts—she’d sidle up every afternoon to be petted. As our other sheep stared at her in wide-eyed horror, Red mooned up at us with trusting eyes, charming us and lightening our cares. So I relent and call Maggie Swenson this Sunday afternoon. She arrives as heavy shadows from hickory and locust trees fall across the pasture. Maggie announces after a quick check that Red’s cervix isn’t dilated, and then she sits back with a puzzled frown on her elfin face. Red sure appears to be in labor. I mention ringwomb, when a pregnant ewe comes to full term yet fails to dilate for delivery, which I’ve heard about in an e-mail listserv for shepherds. “Could be,” Maggie says doubtfully, her short gray hair luminous in the shed’s deepening gloom. I wonder if ringwomb is even a recognized sheep ailment—there are so many, and I can’t find it in my reference books—or just more gossip from my virtual colleagues, who keep me fretting about the endless woes that sheep are heir to. In the growing season of 1870, the editor of The Hartford Courant set out to chronicle for his readers the delights of gardening. In My Summer in a Garden, published that fall, Charles Dudley Warner argued that one who plants a garden is doomed to suffer, and lose, in the unrelenting fight against weeds, bugs, and frost. He was humorously undercutting romantic notions of nature, of recreating one’s own Eden, planting vine and fig tree, yet clearly he hoped for a more elemental relationship with the earth. “By gardening,” he wrote, “I do not mean that insane desire to raise vegetables which some have; but the philosophical occupation of contact with the earth …. In a half an hour I can hoe myself right away from this world, as we commonly see it, into a large place, where there are no obstacles.” . . .
William, I’ll call him. His real first name was likewise one that people always slap a nickname on; but in the formal way of some country folk, he didn’t abbreviate. So a gracious air of olden times arose with his mention. And William was who I wanted, all the locals said, to rebuild my pond. We’d recently moved to the hilly Appalachian region of Ohio and bought a small farm with erosion issues. William was the best excavator—that’s what they call men here who bulldoze and backhoe and otherwise gouge the earth: excavators. A great title, both elevated and elemental. William was about impossible to get, everyone said. And here I was a newcomer, a flatlander, who needed a dam reshaped and a gully below it filled. But I figured such a man, who could move earth to make crooked places straight and rough ways smooth, was worth pursuing. So I called William and he came. . . .
Now, hunched forward, picking at her salad, her long brown hair on her shoulders, her elbows tucked against her ribs, Claire seems gathered into herself, tensed for a leap. This is her next-to-last moment with us before we leave her at Northwestern University. She’s already said goodbye to her brother, who is staying with a friend back home in Ohio. Kathy and I had hoped to linger with her over this meal. But I can barely hear her above the brittle clatter in the “Asian fusion” restaurant she picked. And the dish I ordered is awful—when will I learn I don’t really like tofu? I’m eating Kathy’s meal, dark bits of beef, tasty but too salty. My wife and I waded into a pen of baaing ewe lambs inside a barn on the Getz Farm outside of Springfield, Ohio. We were buying lambs to expand our sheep flock. We had no records to guide us—no lamb weights to indicate growth rates, no production records of their mothers, not even ear tags to indicate a lamb’s parentage. 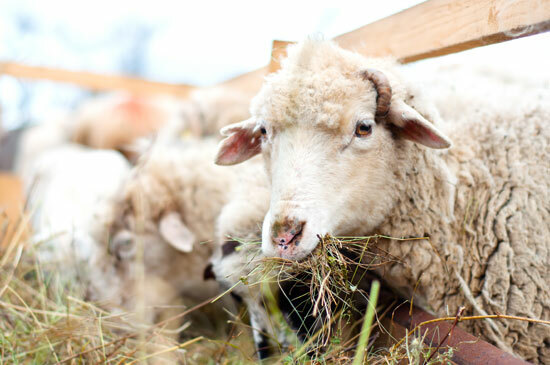 In the waning days of the Getz Farm, home to sheep and shepherds for three generations, there was little inforrmation concerning the animals that made up what might be the old farm’s last lamb crop. Farmers often are too busy, or too overwhelmed at key points, to record data for later analysis. Or their smudged notes, scrawled in the heat of battle and jammed onto a rusty nail in the barn, have become almost useless when retrieved months later from the cobwebs and dust. When I was growing up in Florida, Mom would take us in the summer to visit our old Georgia hometown. As I played with children there, I knew that Leesburg was where I should have been living instead of Satellite Beach. “Listen,” a boy said to me one night, “that’s hounds on a trail down on the Muckalee Creek.” The romance of coonhounds baying in the swamps and my sense of having been torn from that world almost brought me to tears. By the time I was a teenager, the differences between my Georgia peers and me had become too stark for me to enjoy visiting at all. I’d imprinted on the landscape, however, on the vast fields relieved by dark islands of pine and bordered by creeks haunted by alligators. My earliest memories cluster there. Dad brushes silently past me into the white farmhouse as I stand looking at him. Screams and running as a bat flies down our chimney and beats against the high ceiling. Mom takes us to see a long rattlesnake someone has lynched from an oak’s high limb for all to see. Dust rises behind a red tractor as my father disks. There’s booms and flying chunks as he dynamites stumps in a pasture. And my terror when Mom leaves me and Meg in the car and descends the banks of the Muckalee to pick magnolia blossoms; that’s where—has she forgotten?—she once showed me the path an alligator scuffed as it dragged one of Dad’s newborn calves into the black water. As a college student, feeling uncomfortably rootless, I drove to Leesburg myself. We’d been gone fifteen years by then. In the town’s only grocery, I told the proprietor that we’d lived on the Stage Road Ranch. The man thought for a moment. Then he said that my father’s ability to estimate the weight of a pen of market steers was the most remarkable skill he’d ever seen. I was proud that Dad’s competence as a cattleman was still honored. I suspected that he was remembered less fondly there by my mother’s close circle of friends. Here in southern Ohio the tulip poplars and black locusts drop leaves. Yellow petals flutter across the road. Brown fronds tumble after cars, rasp on the blacktop and curl in the parched ditches. The roadside trees are dusty, their heavy foliage sags, but the hayfields take on a sheen as the worst of the heat lifts. Rains are sparse but moisture lingers, and the grasses use every drop. Summer has spent itself and fall hasn’t arrived. September hangs in the balance, a mellow retrospective on the struggle that’s now history, another growing season’s savage extremes. What a dry year. Or, Sure got flooded. . . .
Review of A Childhood: The Biography of a Place by Harry Crews. He’s highlighting memory, of course, the basis not only of memoir but of the storytelling culture in the place where he came to consciousness. He’s emphasizing the absence of his father, whom he can imagine only through others’ stories. He’s underscoring how a particular setting might be fused with his loss. 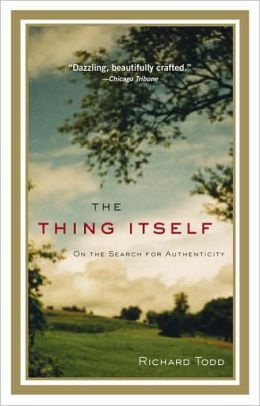 Crews devotes the first three chapters, Part One, of this concise twelve-chapter book to extending his risky imaginative and reflective opening. In this way, he shows overtly, implicitly, and spatially how his father’s death reverberated in his life in backwoods Georgia. Crews’s Uncle Pascal, his father’s older brother, quickly divorced his own wife and married Myrtice. Pascal was loving to his adopted sons, and especially to Harry, the baby. But Pascal was also an abject alcoholic. To the toilsome lot of a poor farmer’s life, Pascal added emotional turmoil—raging fights with Myrtice, long absences, seething resentments. Opening his story as an adult writer who is dramatizing and grappling with others’ memories, Crew then portrays his return to the remote region in 1956, at age 21, after a hitch in the Marines. He hears more stories about his father from his father’s friends idling in a country store. Crews shifts into his writer’s perspective to reflect bleakly that his own son couldn’t make such a pilgrimage—because Crews had no similarly close friends after decades spent as a writing teacher at the University of Florida, in Gainesville. As Ted Geltner makes clear in his recent, absorbing study, Blood, Bone and Marrow: A Biography of Harry Crews, the writer felt himself a freak outside his eroded provincial region and hopelessly alien to his unlettered people within it. His writing about this in A Childhood, Geltner indicates, was psychically disruptive. At least Crews thought so. He had published eight novels in eight years before writing A Childhood; afterward, he didn’t publish another book for nine years. He finally broke his drought with six more novels and a novella. 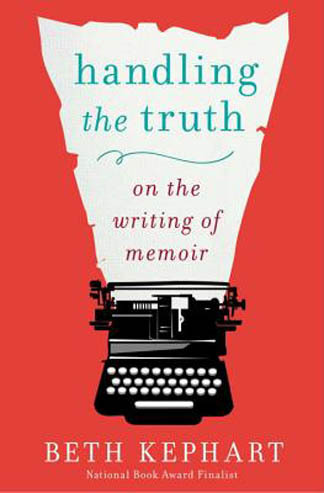 A review of Handling the Truth: On the Writing of Memoir by Beth Kephart. Here’s three good reasons to read Beth Kephart’s book on writing memoir: her lapidary prose; her vision of memoir as an instrument of inquiry and transcendence; and her superb annotated list of recommended memoirs. 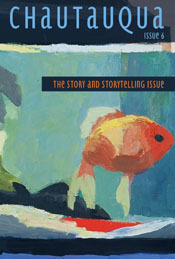 Handling the Truth: On the Writing of Memoir is more a meditation—on the writing life and on life writing—than a simple how-to book, as indicated by its winning a Books for a Better Life Award in the motivational category. Published in 2013, it is in its fifth printing. Writing memoir, she makes clear, is about becoming a vulnerable seeker after truth. Pitfalls include narcissism and anger. Again and again she returns to language, to “the atmosphere created by word choices.” Much is contained in that, including and perhaps especially persona. The indiscriminate “I” seldom works, she observes. The self on the page is a construct of a self that’s aware of the effects it is creating. 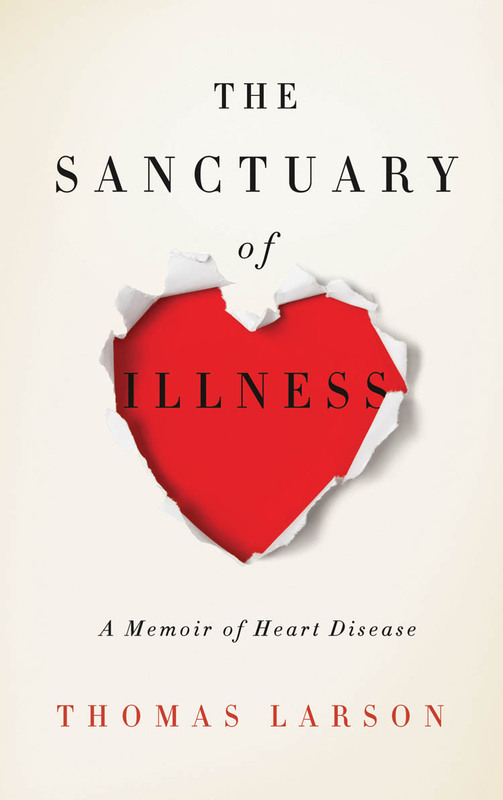 Larson, author of The Memoir and The Memoirist: Reading and Writing Personal Narrative and The Saddest Music Ever Written:The Story of Samuel Barber’s “Adagio for Strings,” depicted this March 2006 attack in a Brevity essay, “One Way It Happens.” His new book, The Sanctuary of Illness: A Memoir of Heart Disease (Hudson Whitman, January 15, 2014), relates his experience of three heart attacks and their aftermath. Though it spans six years, the book is stunningly concise, 128 pages. Right off, the waiting room strikes me—purgatory’s nursery. On the tight-weave chairs a dozen of us heart patients sit, mid-afternoon. . . . In the ward from which the attendant will come, I imagine the smell of catheters, tubes stuck in flesh, the caustic stink of a draining infection under the scrub-brush sparkle of this cardiology wing, computers on wheeled platforms, the weight scales, the boxes of purple gloves, the plastic holders where my file goes on the outside of the door so Dr. J can, in seconds, scan the chart of whichever room, like rowed animal cages in a zoo, he enters. Larson’s season in hell has just begun. Genetics partly explains it, his father dead at age 61 from a massive infarction; his older brother, morbidly obese, dead of the same at 42. Larson had been a vegetarian for 25 years, so was trying. But he was middle-aged busy and had become obese himself on a diet rich in cheese and eggs. And even his veggie dishes contained artery-clogging oils. Jim Minick and his wife, Sarah, learned this lesson during twelve years spent growing blueberries on their Appalachian Virginia farm. They hoped to supplement Minick’s university teaching and to allow Sarah, a schoolteacher, to stay home. 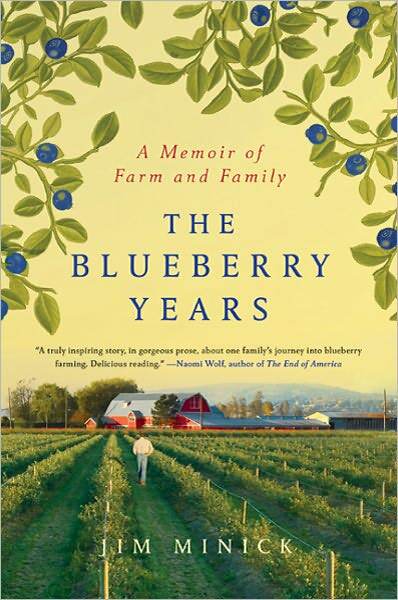 In The Blueberry Years: A Memoir of Farm and Family, Minick tells how they cleared two-and-a-half acres and made them say blueberries. Grubbing out tree roots and planting 1,000 bushes staggered the couple, then in their late twenties. After developing a thriving, certified organic, pick-your-own business—any one of those elements a triumph—they saw that they needed at least four times as many plants to make money. But propelled by an evergreen American dream, they couldn’t have foreseen how much raising their crop would cost. Or how long and hard they’d work. I’m haunted by past sins and follies: my quip that hurt a friend; the foolish act trying to impress a woman; my silence when my father, being thrown out by my mother, told me he loved me. How we leak guilt and shame. Dear God, forgive us our trespasses. Yet isn’t anyone worth knowing aware he’s let himself down? “How We Spend Our Days: Richard Gilbert,” a self profile for Catching Days. 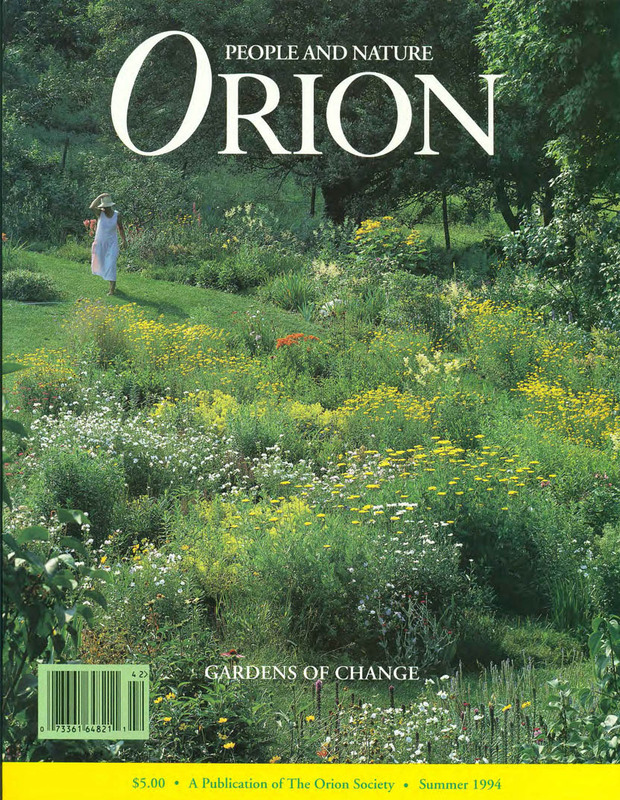 “Gardening and Being,” an essay about my Orion essay titled the same. Bill and Dave’s Cocktail Hour. “E.B. White & Me.” Bill and Dave’s Cocktail Hour. “Don’t Enshrine Craft.” Bill and Dave’s Cocktail Hour. “From Blogger to Author: Learning the Blogging Genre & Blogging My Book.” Bill and Dave’s Cocktail Hour. “What Makes a Memoir ‘Too Personal?’ ” Shirley Showalter’s 100 Memoirs. “Three Lessons on the Path to Publication of my Memoir.” Bill and Dave’s Cocktail Hour. “ ‘Wild Ducks’: How an Essay of the Empty Nest was Hatched.” Bill and Dave’s Cocktail Hour. “Writing by the Think System.” Bill and Dave’s Cocktail Hour. “Spiritual Affinities in Eckhard Tolle, Rainer Maria Rilke & Virginia Woolf.” Sunny Room Studio. “What I Learned from Wild.” Bill and Dave’s Cocktail Hour. 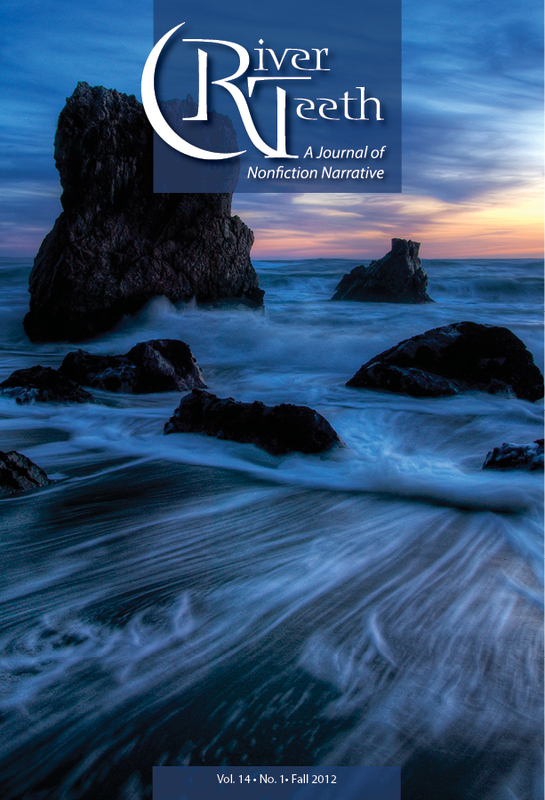 “Richard Gilbert Talks ‘Shepherd’ on Hashtag #CNF.” Interview for Nonfictional Tendencies, July 2014. “Dancing with Elemental Forces: Richard Gilbert’s Shepherd“: Interview with Brevity, May 2014. 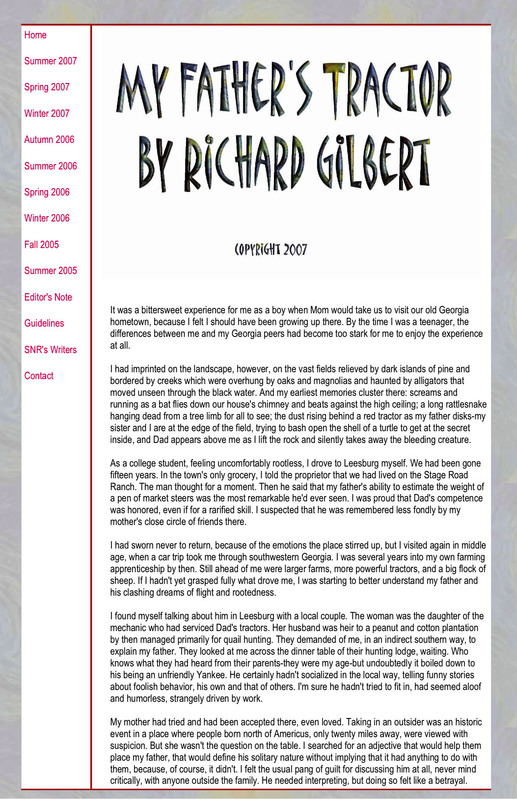 “Richard Gilbert Grows Hardy, Hearty Prose“: Interview with Hannah Stephenson for Columbus Alive, May 15, 2014. “Emotionally Harrowing“: Interview at Sunny Room Studio about farming, teaching, writing, spirituality, April 2014. 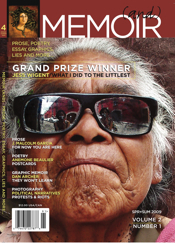 Interview with Learnist, February 2014.